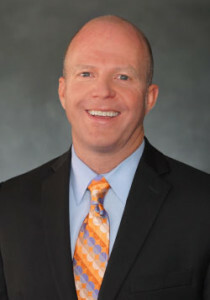 Kevin Conlon joined Mason-McDuffie Mortgage in 2006 and is currently the Executive Vice President of Operations. Previously, he worked for Delta Lending Group as the Branch Development Manager and Zino Financial as Vice President of Business Development. He also founded a boutique recruitment firm. Mr. Conlon is a member of the California Mortgage Bankers Association and is currently involved in their Future Leaders Program. In addition, he is a licensed Real Estate Broker and a licensed Mortgage Banker. He recently earned designation as an Accredited Mortgage Professional and has earned the prestigious Certified Mortgage Banker (CMB) designation. To earn the CMB designation he had to pass a six-hour written exam and a one-hour oral exam. The exams followed mortgage banking courses that had to be completed in a three-year period. He holds a B.S. degree in Biology with a concentration in Physiology from California Polytechnic State University, San Luis Obispo. Mr. Conlon and his wife have two school-aged sons. When not working, he enjoys spending time with his family, running, cooking and reading.